Now more than ever, it is critical to save for retirement. 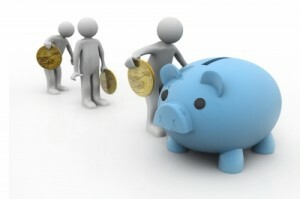 As the recent recession and slow recovery have shown us, nothing is guaranteed, least of all a secure financial future. A 401k plan is often the primary source of retirement funds for American workers. The benefits of a 401k are excellent, but you still have to abide but the 401k contribution limit, which means you can’t just keep socking away money until you have enough to retire to a beach house in Mexico. Of course, you should try to save as much as you can. 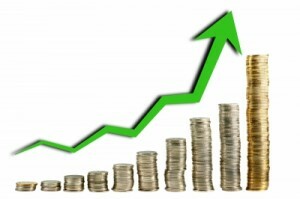 In 2013, the maximum amount of pre-tax money you can contribute to your 401k plan is $17,500. 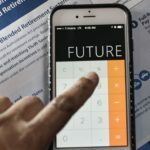 If you are only contributing a small percentage of your paycheck to your 401k, it’s likely that you won’t have to worry about hitting the ceiling. However, many people max out their contributions and if you can afford to do that, you might have an income that will allow you to hit your cap before year’s end. 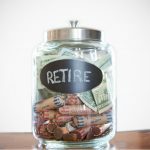 You might be tempted to stop saving for retirement at that point, at least until the new year, when the cap resets. 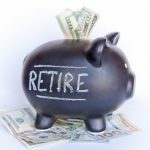 However, studies have shown that in general, people do not save enough money for retirement and the amount needed to maintain your lifestyle gets higher with every passing year. You might be worried that $17,500 per year (or a little more depending on inflation) is not going to be enough to support your lifestyle, even if your employer is matching your contributions up to a certain percent. If this sounds like you, don’t fret. You do have some options to help you save even more for retirement than what your 401k allows. Here’s how. For employees aged 50 and older, you could be eligible to contribute more to your 401k plan if you need to catch up with your retirement savings. This provision is designed to help people who might not have started saving for retirement at an early age. Unfortunately, the number of people who need this extended limit is extremely high. 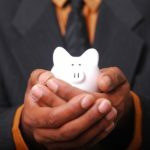 Most people do not have enough money saved for their golden years, and even more concerning, they do not know how much they need to save to live comfortably. 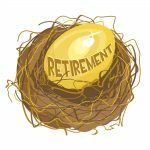 Catch-up contributions were instituted in 2001 as part of the RELIEF Act to assist employees with retirement savings so they can better prepare for the future. In 2013, you can contribute an additional $5,500 to your 401k plan to help prepare you for retirement. This amount has not changed since 2008, when it was $5,000 and it is not expected to change again in 2014, although it may increase by as much as $500 for inflation. 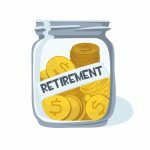 This extra contribution means that if you are over 50 years old, you can contribute as much as $23,000 to your 401k for 2013, and you can continue to make extra contributions as long as you continue working or until you reach the age of 70 ½. This is the age that you are required to begin receiving regular payments from your account. 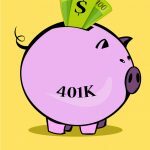 Keep in mind that the 401k contribution limit does not include any matching contributions made by your employer. This is important when you are calculating how much you are going to need when you retire. In effect, the contribution limits are doubled when you take into account your employer match. This does not mean that your contributions will automatically be doubled, but it does mean they have that potential, at least up to the employer contribution limit, which for 2013 is $33,500. For example, if you are contributing six percent of your income to your 401k and that amount equals the plan maximum of $17,500, that’s as much as you are allowed to contribute. However, if your employer matches your contributions up to three percent, your account can actually receive the $17,500 from you and an additional $8,750 from your employer. This makes your annual 401k contribution limit $26,250. It gets even better if your employee matches the full six percent. You won’t be able to double your contribution in this scenario, but you will be able to receive the employer contribution max of $33,500. 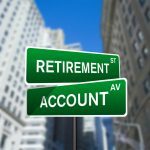 If you have met your 401k contribution limit, you may be eligible to make more contributions to a Roth IRA, which is an individual retirement account. Your income if you are single must be less than $127,000 for you to contribute to a Roth IRA. If you are married, your combined incomes must be less than $188,000. If you meet these criteria, you can contribute up to $5,500 to a Roth IRA in addition to your 401k contributions. However, in many cases, if you make enough money to max out your 401k limit, odds are you make too much to contribute to an IRA. Still, it is an option for people who do meet the criteria. 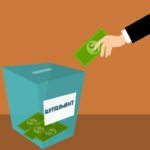 You should also keep in mind that Roth IRA contributions are made after-tax, so you will not receive any tax benefits at the time of your contributions. However, you will not have pay income taxes when you make your withdrawal. 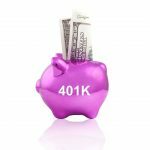 Most people will not even come close to meeting their 401k contribution limit, but if you find yourself in that situation, there are ways you can continue to save for your retirement without incurring penalties for going over the maximum allowed. 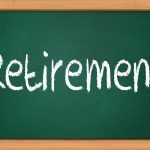 Just be sure you plan ahead and understand the rules governing your preferred retirement plans before you make any financial decisions.